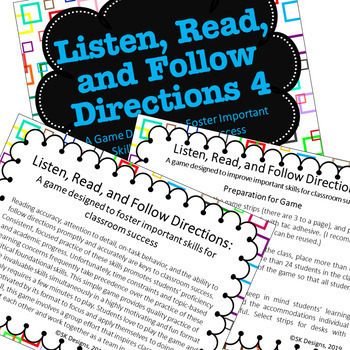 Foster reading accuracy, active listening, and proficient execution of written and oral instructions in a game format that brings novelty, active engagement and fun to the classroom! 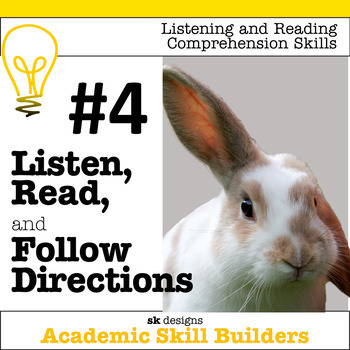 Set 4 Reading accuracy, attention to detail, on-task behavior, and the ability to follow directions promptly and accurately are keys to classroom success. Consistent, focused practice of these skills promotes students’ proficiency and academic progress. Unfortunately, time constraints and topic-based learning concerns frequently take precedence over the practice of these critical foundational skills. This simple game provides quality practice of these invaluable skills simultaneously in a highly motivating and fun format that only requires a few minutes to play. 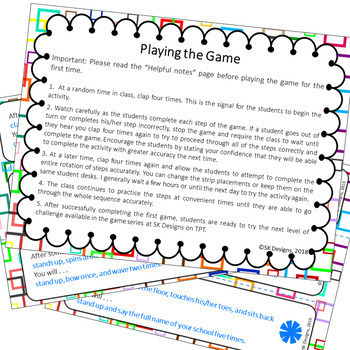 Students love to play the game and are motivated by its format to focus and apply themselves to doing well. Best of all, this game involves a group effort that inspires class members to support each other and work together as a team in order to succeed! My students love this game, and I love it, too! They love it because it gets them up and actively engaged and makes them smile and laugh. I love it because it encourages them to pay close attention, read carefully, and follow directions accurately in just 5-10 minutes of daily practice. This game is available in a series of game levels. Each level of the game increases the challenge incrementally. 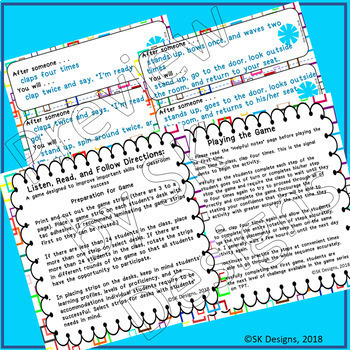 Higher levels are available through SK Designs on TPT. It is our sincere desire to provide products that help students soar and provide teachers with instructional material that addresses important academic skills. Thank you for downloading this product. If you have any questions about its implementation, please contact us through the Q and A tab on this product page. If you are interested in more SK Design's products, freebies, and updates, please feel free to follow us by clicking here and then clicking the green star next to our logo on our store page! Be sure to leave comments and ratings on the products you purchase to earn valuable TpT rewards!